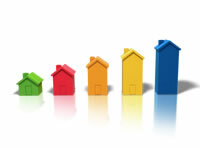 House Buying Surveys Explained - Which Is The Right Type For You? Let’s now take a look at what is involved for each of these types of house buying surveys, and also give you an indication of what they may cost. The bare minimum form of house buying surveys is a Mortgage Valuation Report. 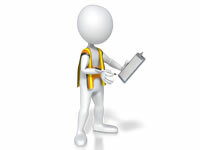 With this survey format, your surveyor will take a quick look at the residential property and arrive at an approximate property valuation for your lender (the main purpose of a Mortgage Valuation Report is to verify that the property represents fair security for your mortgage) In addition, the surveyor will also report back any major defects or problems which they notice whilst inspecting the property. 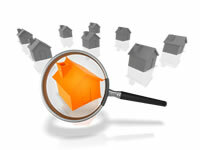 You’ll be quoted a price for a Mortgage Valuation Report by your mortgage lender. The actual fee will vary a little between lenders, and is based on the price you intend paying for the property, the number of bedrooms and the property type. Mortgage Valuation Reports are the cheapest variety of house buying surveys, and you will typically be asked to pay around £130 – £300 for a Mortgage Valuation Report. You can appoint any qualified Chartered Surveyor to carry out a Homebuyers Survey for you. Even though your mortgage lender might suggest a particular surveyor, the chances are that you’ll end up paying a lot less if you choose your own surveyor. So it’s definitely advisable to get some online quotes first to see the savings you can make. 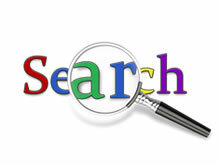 You should find that most house buying surveys of this type will range from £250 to £1,000. 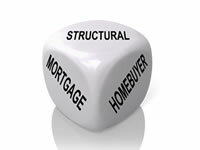 The final type of house buying surveys are Building Surveys, which are often known as “Structural Surveys”. 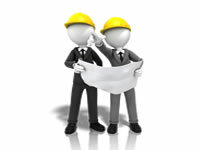 Building Surveys are a really in-depth form of residential house buying surveys. An experienced structural surveyor will carry out a full inspection of your property for you from its foundations to its roof. The surveyor’s sole mission is to search for any problems – even if they aren’t immediately apparent. When this survey has been completed, you’ll be provided with a full written structural review (which is not provided with other forms of house buying surveys) This review report contains a list of all the defects that have been uncovered, along with the surveyor’s recommendations on what work is needed to correct these problems. As part of the Building Survey, the surveyor can also give you an estimate of the likely costs of any remedial work as an optional service. The fact that a Building Survey is custom done for each individual property means that the fees for house buying surveys do vary. On average, a full Structural Survey quote should be in the £500 to £1,500 fee range. 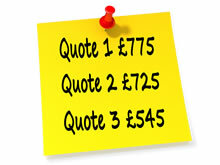 It’s well worth getting some quotes from online firms early on to give you an idea of approximate rates. Don’t be put off by the fact that a Building Survey is a little dearer than the other house buying surveys. Paying a few hundred pounds more today may save you from needing to pay tens of thousands later. If you can stretch your budget a little, having a full Structural Survey is definitely worth it for the peace of mind it gives you. After all, it’s never wise to cut corners when it comes to house buying surveys, as they will protect you against the possibility of expensive future repairs!